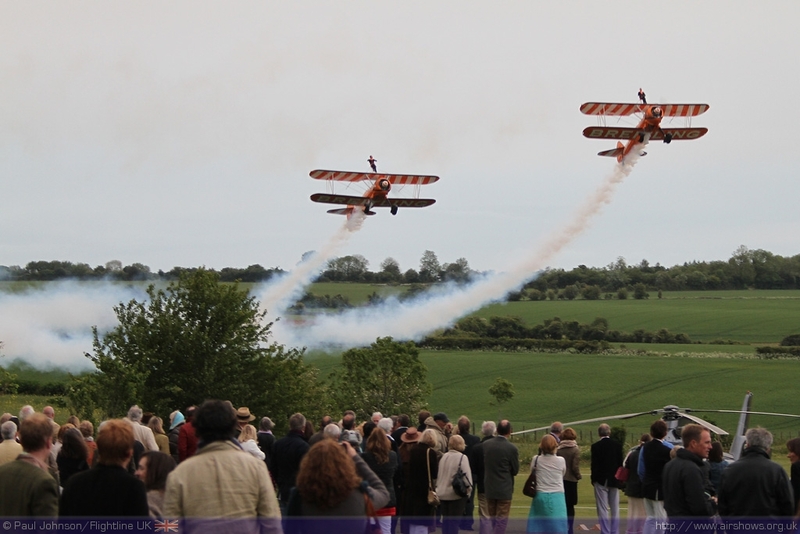 Vic and Ann Norman have supported Help for Heroes with a number of different events at RFC Rendcomb over the past few years which have involved flying displays of various sizes. 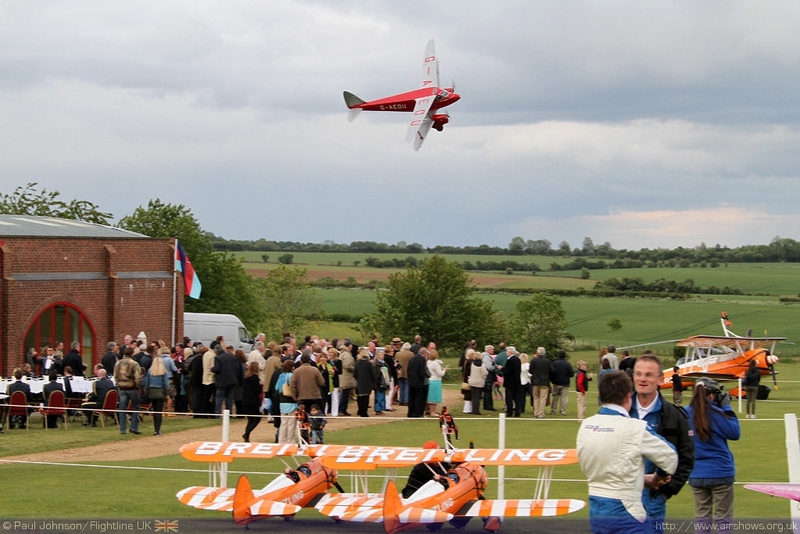 Their 2011 event was slightly different based around a dinner and a performance by Georgie Fame in the Pancho Barn. 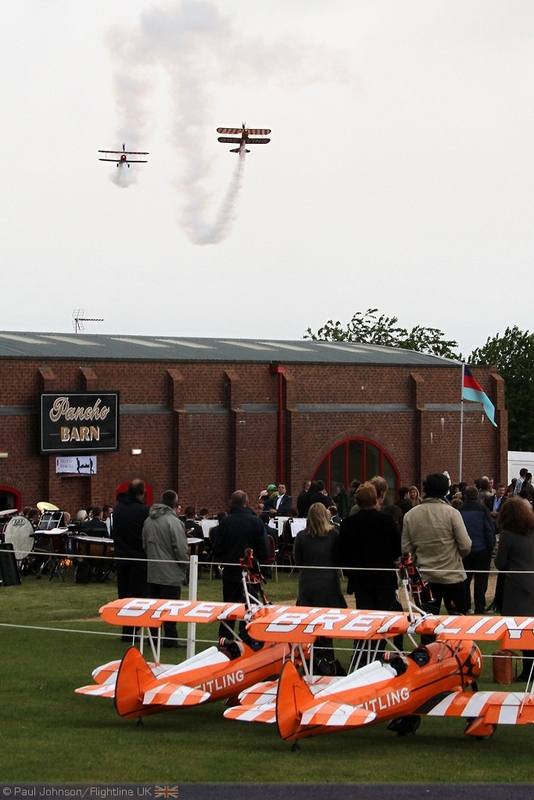 Beforehand though, there was a small and very select flying display featuring classic biplanes, warbirds and aerobatic displays as well as Vic's own Breitling Wingwalkers. 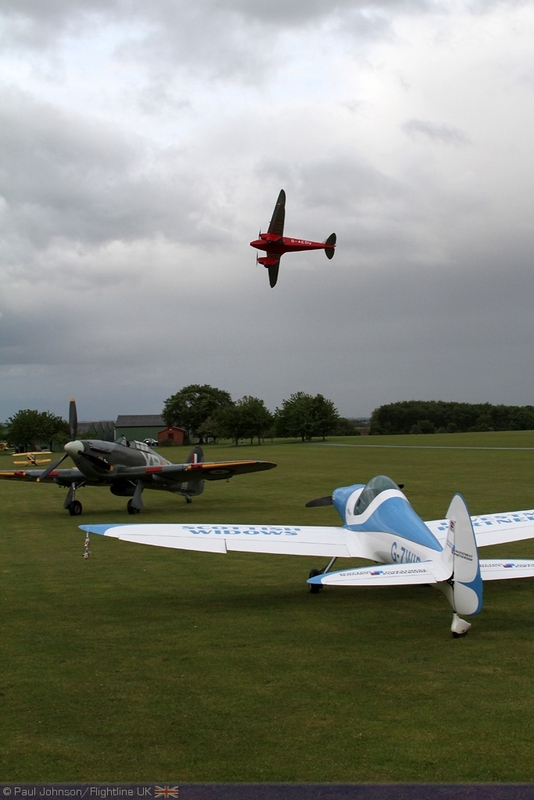 RFC Rendcomb is perhaps one of the most idyllic airfields in the UK. 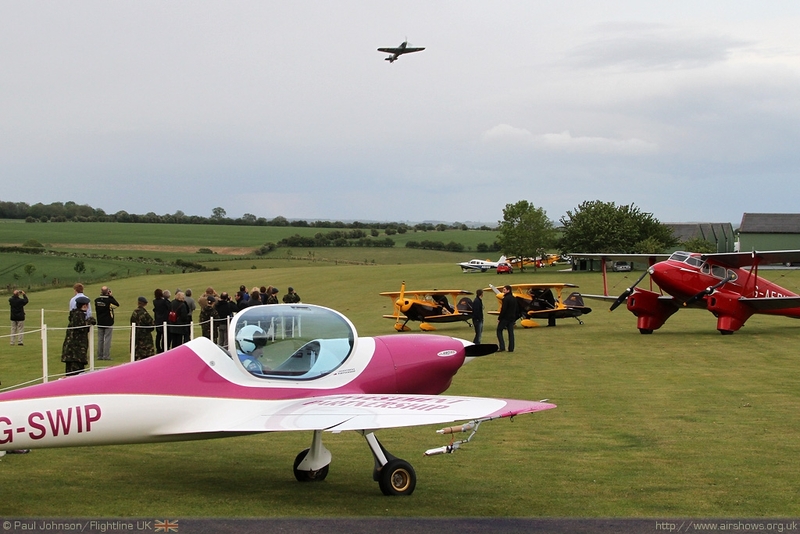 Set on the rolling hills above Cirencester in the rural Cotswolds, The airfield is surrounded by the rich green and yellow arable fields without an blot on the landscape. 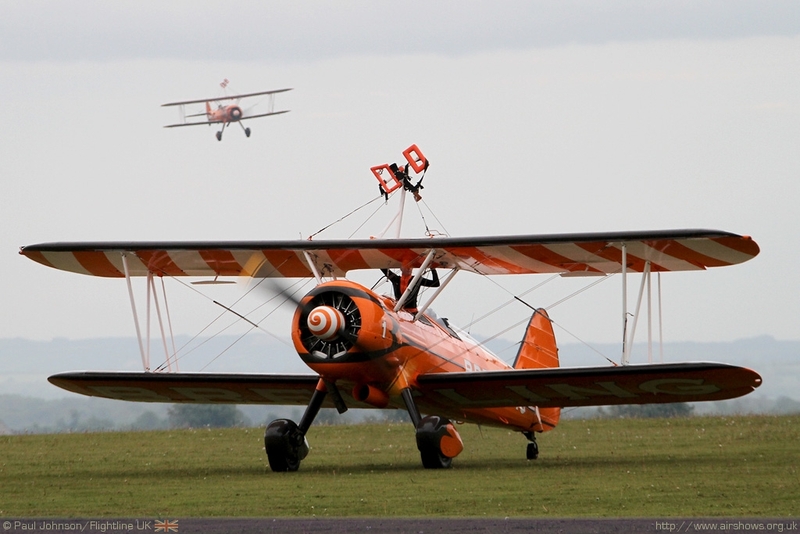 RFC Rendcomb has been lovingly restored to its Royal Flying Corps appearance, with classic wooden hangars which house not only the Breitling Wingwalkers aircraft, but also a host of other classic biplanes and classic car collections. 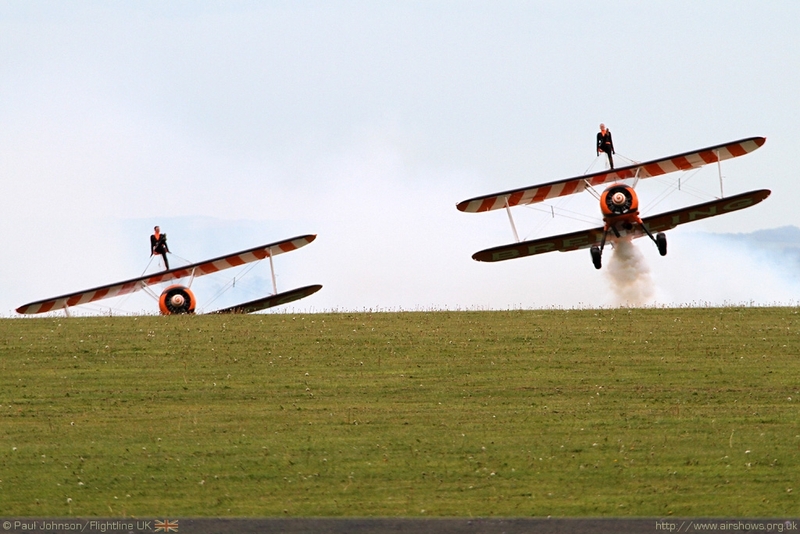 The airfield regularly features in the media thanks to the exploits of the Breitling Wingwalkers. Recently, the team took part in BBC's "Bang goes the Theory" demonstrating the feel of strong winds to one of the show's presenters. 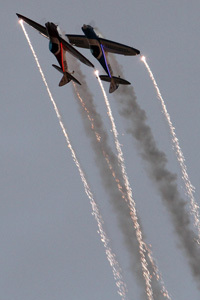 The team themselves are back up to a full four-ship for 2011 with Breitling extending their sponsorship of the team until 2013. 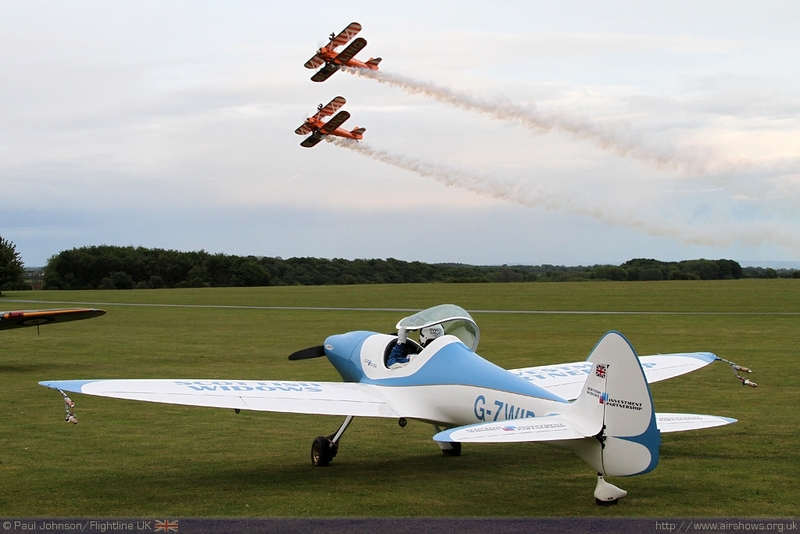 Having four aircraft available not only means a few events will now be able to feature a stunning four-ship routine, but the team are able to cover more events again with two separate two ship teams able to tour the country. 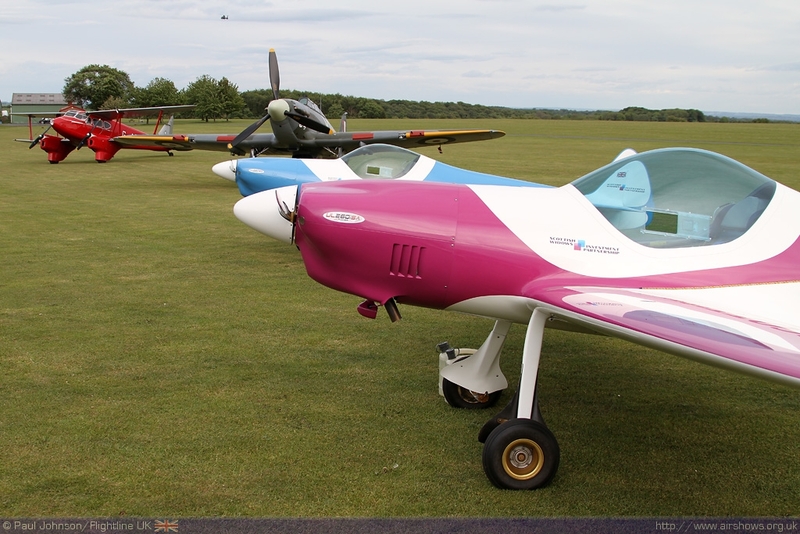 This was the case for this particular weekend (the team's first full display weekend of the summer season) with two aircraft over in Cambrai for an airshow, and a further two at Rendcomb. 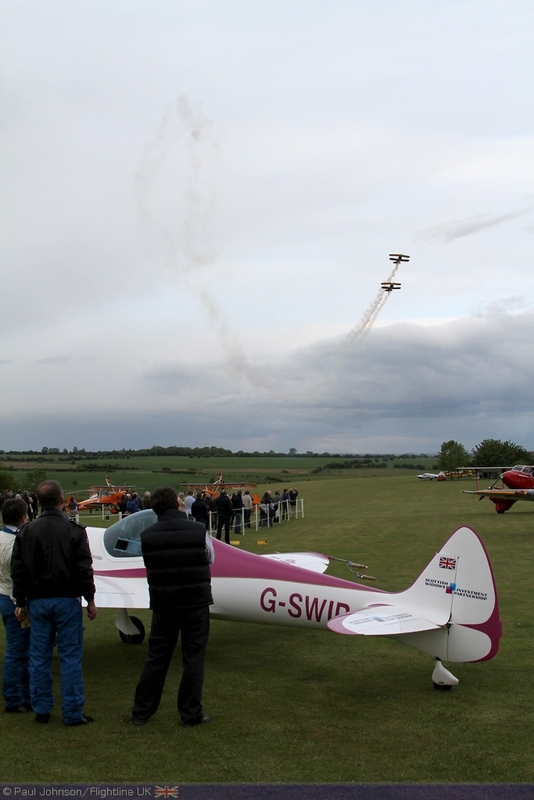 Opening the evening was a much smaller Stearman - in fact a radio controlled model from the Baby Wingwalkers Team. These amazing models are incredibly detailed replicas of their full sized counterpart which includes a fully functional smoke system. 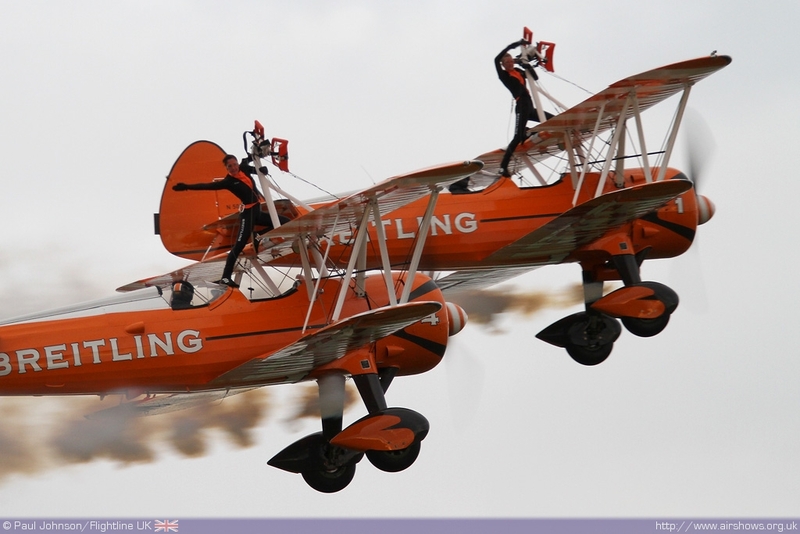 They even have model wingwalkers on the top wings capable of recreating all of the actions performed by the girls during their display. 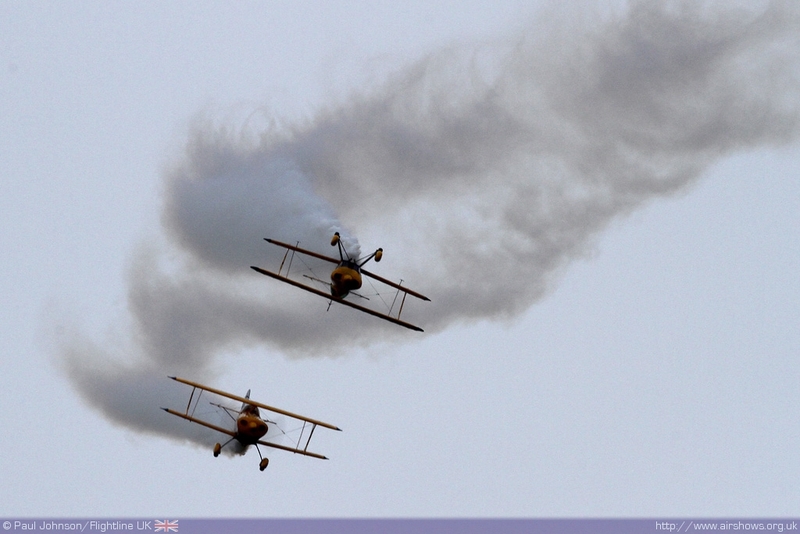 Opening the main flying display was the resident De Havilland DH90 Dragonfly. 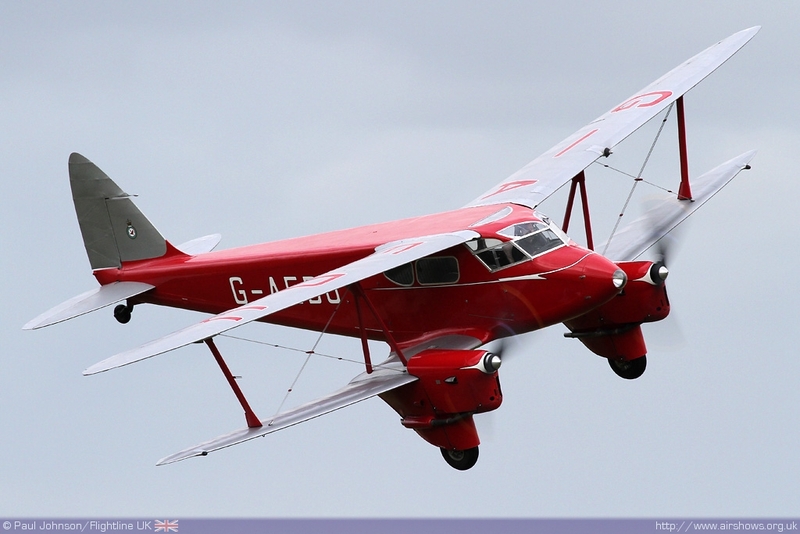 Although this aircraft bears a strong resemblance to the famous Dragon Rapide, it is fact a small luxury touring aircraft. 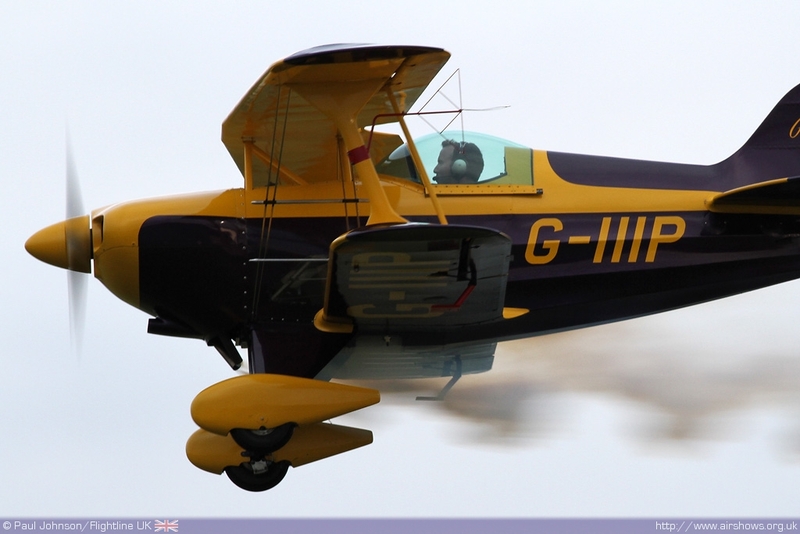 It’s design incorporates a number of features derived from the Comet air racer such as slightly swept back wings. 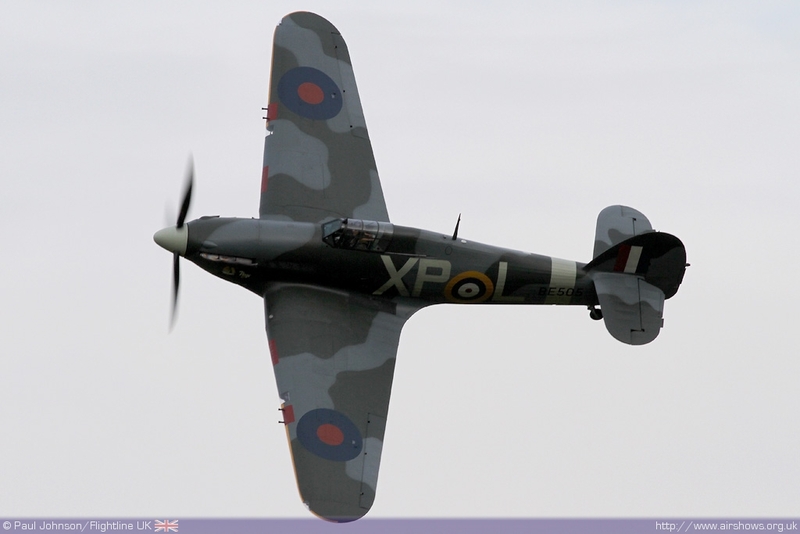 The type was even used by the Royal Canadian Mounted Police to combat "Rum-runners" and some saw service with the Royal Air Force in the Second World War. 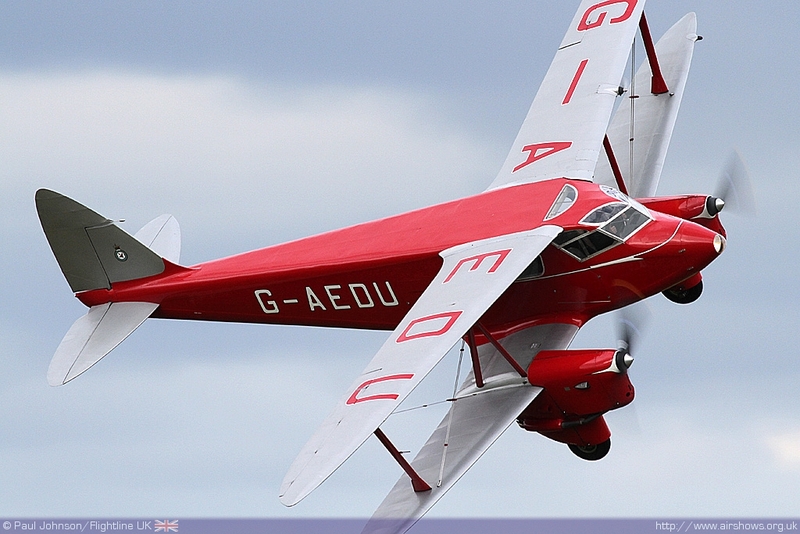 G-AEDU has been registered in the UK since 1992 and is operated by the Norman Aeroplane Trust. 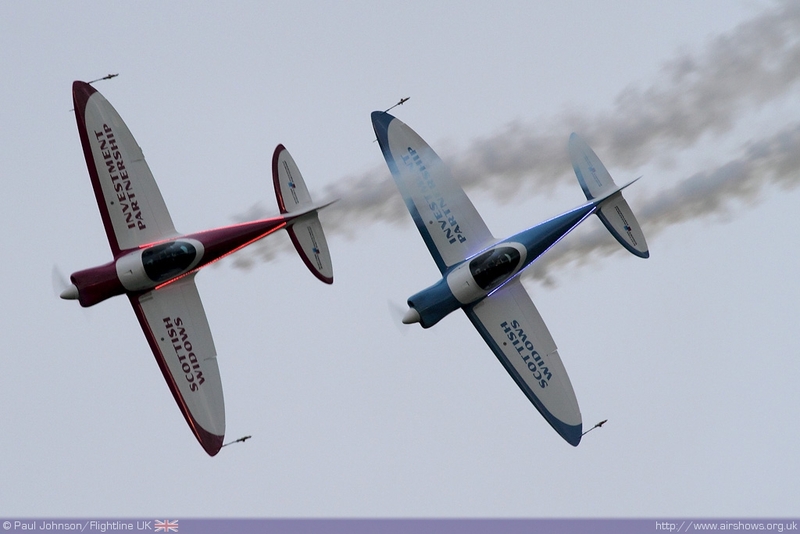 Following on were the Pitts Pair flown by Richard Grace and Dave Pulleston. 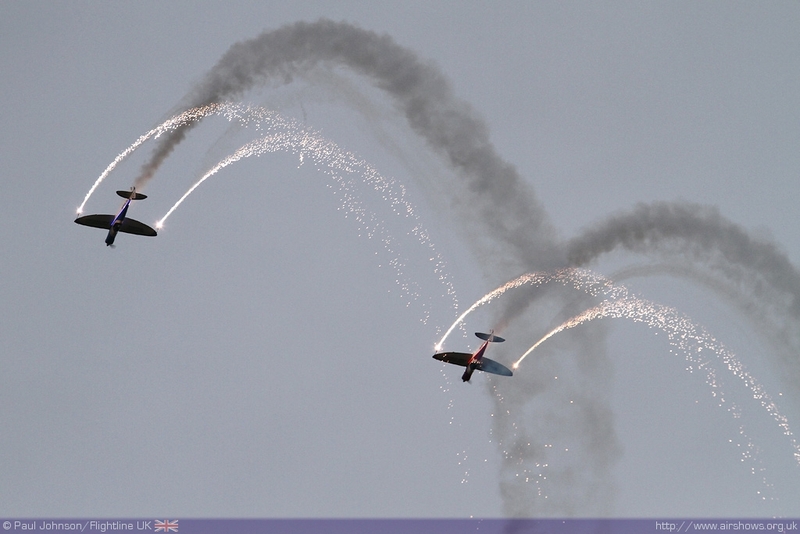 The team first hit the display circuit last year in a a pair of very smart Pitts S-1D Specials. 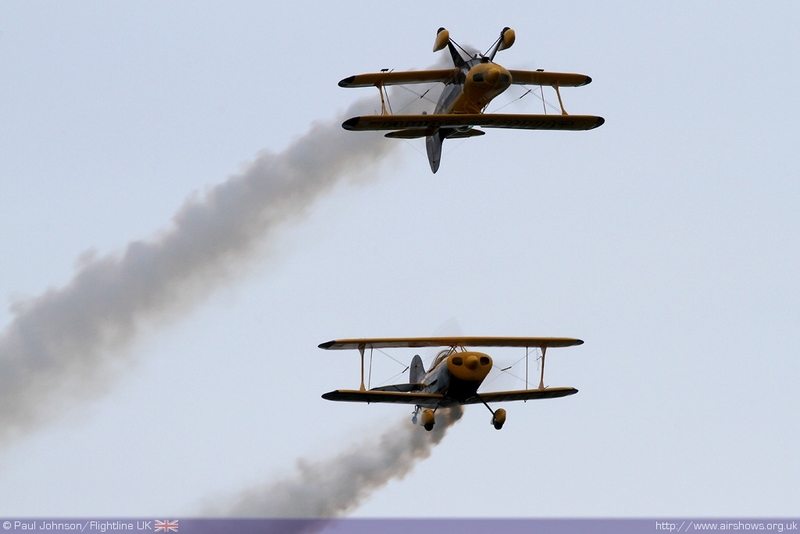 They put of a fine display of formation and solo aerobatics in the classic shape of the Pitts Special including a very tidy mirror pass. 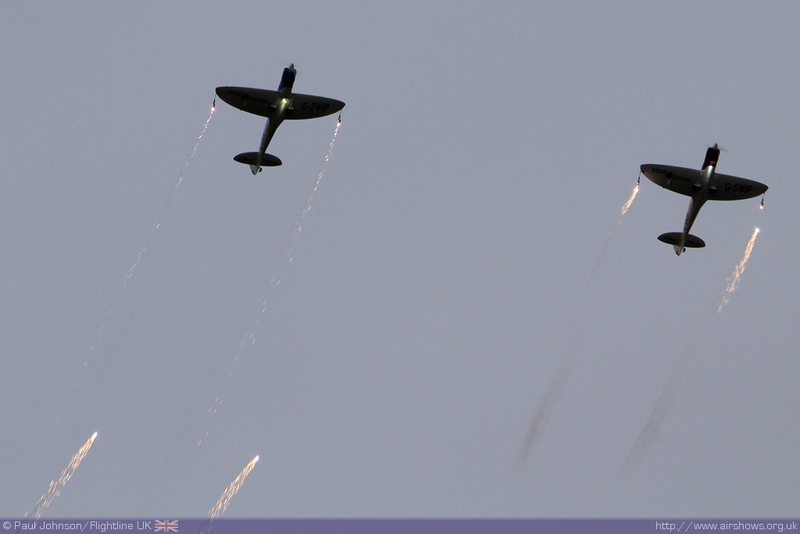 In complete contrast, the next display was from Peter Teichman in his Hawker Hurricane IIb. 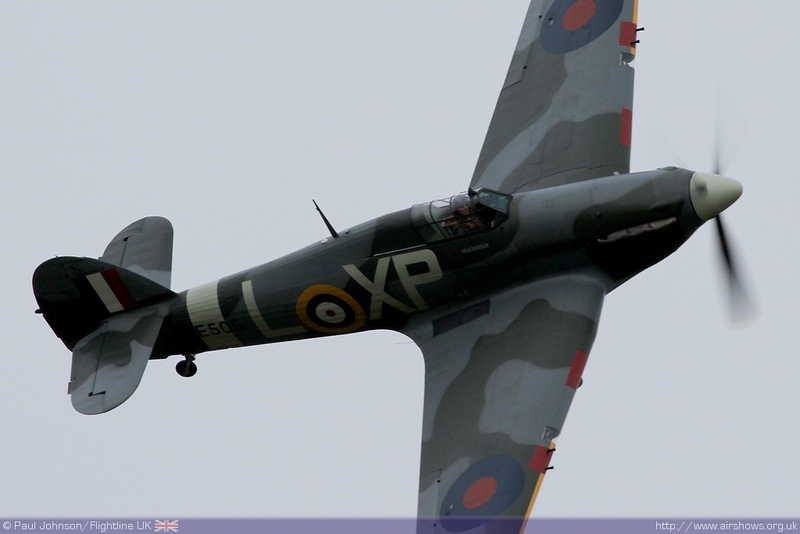 This Hurricane features the ten gun wing, and the bomb racks of the "Hurri-Bomber." 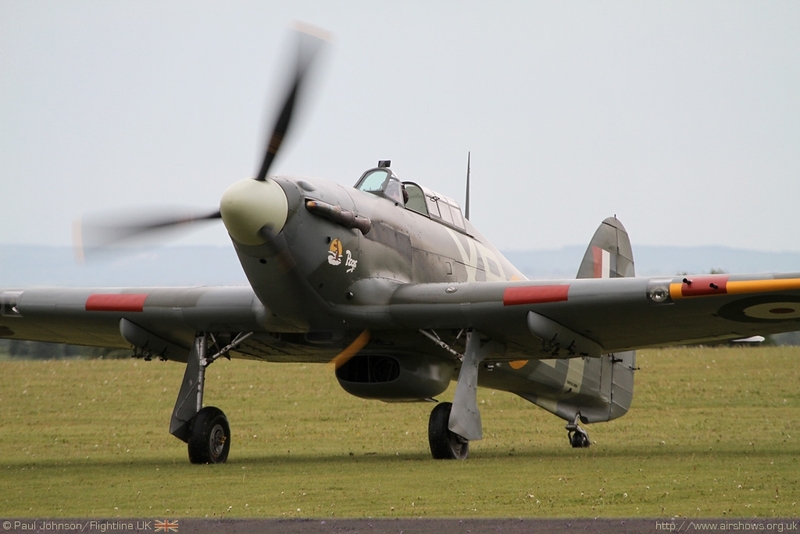 These aircraft took part in the offensive fighter operations over Europe of 1941 and 1942 carrying a pair of 250lb or 500lb bombs attacking a variety of targets. 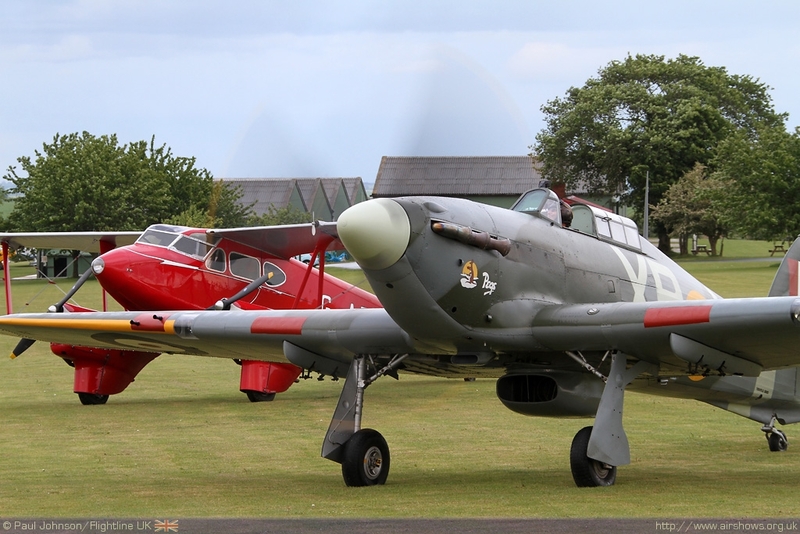 Peter's Hurricane was restored from an airframe discovered in Canada and restoration was started in 2005 before the aircraft's first flight in 2009. 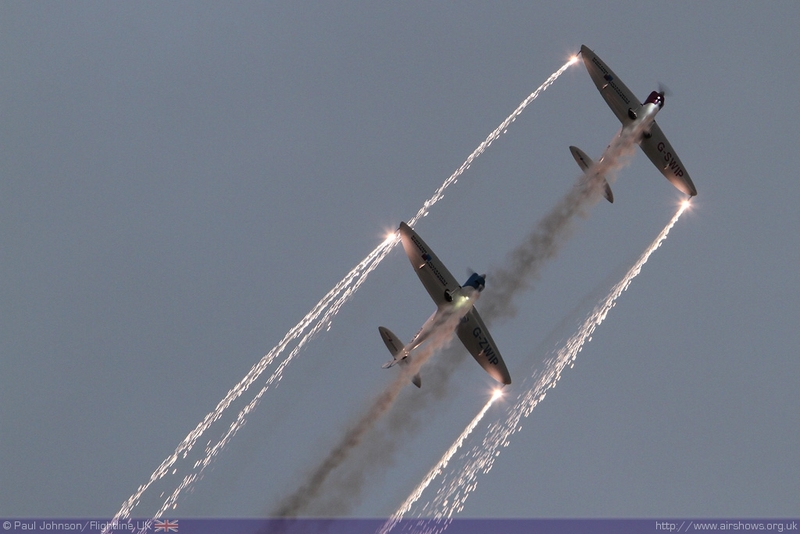 It has been a popular airshow performer ever since. 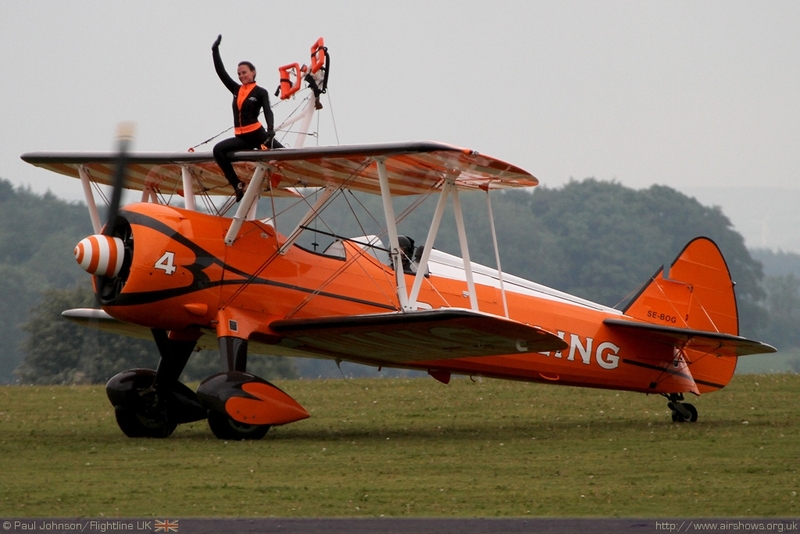 The penultimate act was the Breitling Wingwalkers, with Vic Norman and Steve Hicks flying and Stella Guilding and Sarah Tanner on the wings. 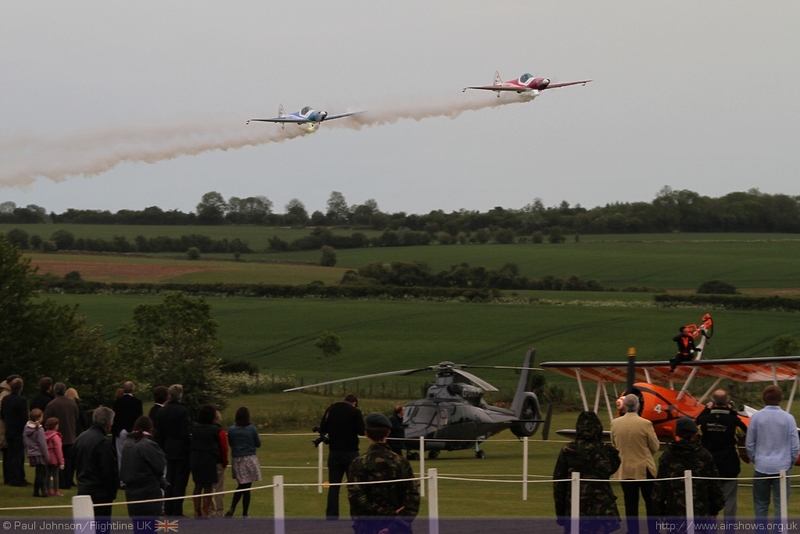 The team made full use of the local topography for their display making some very dramatic approaches to the display line! 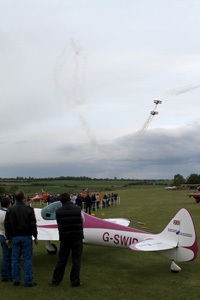 Closing the flying were the SWIP Team, and they gave their public display of their twilight routine complete with wingtip pyrotechnics, coloured LEDs down the fuselage sides and floodlights within the smoke! 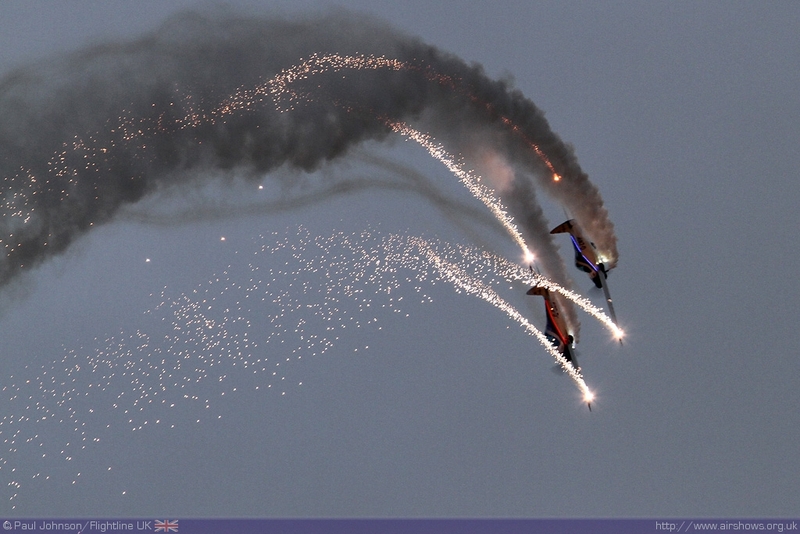 The pyrotechnics have been further enhanced this year with "Comet" flares which fire just before the main wingtip system fires throwing bright blue stars from the wings of the aircraft for a spectacular arrival. 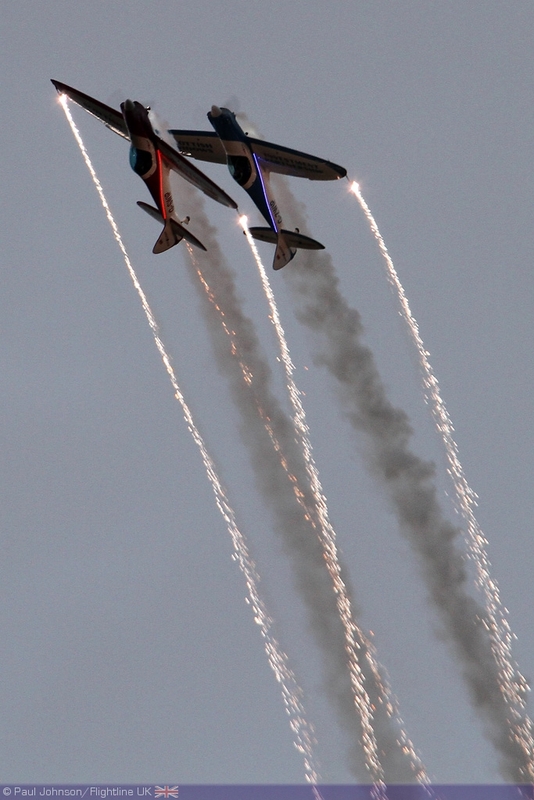 For now at least, it is a unique sight at British airshows and the team are set to perform at a number of evening shows at seafront venues throughout the summer as well as displays in Europe.